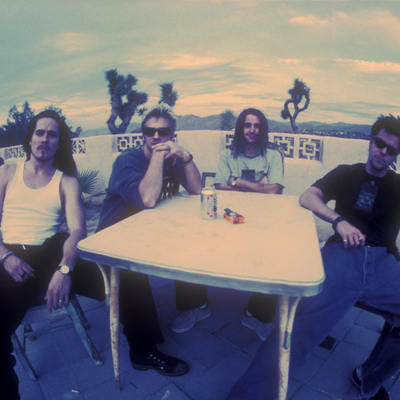 Slo Burn – a stoner punk rebound band fronted by John Garcia after the break up of Kyuss. Formed in 1996 the band toured and played Oz Fest. They were picked up by Rick Kozik’s Man’s Ruin label and recorded one EP, “Amazing the Amusing” a cult favorite that still picks up new fans today. Band members included Damon Garrison (bass), Chris Hale (guitar), and Brady Houghton (drums) later replaced by Alfredo Hernandez. In late ’97 the band changed their name to Prizefighter and played around LA before members returned home to the desert. Damon, Chris and Alfredo formed Brave Black Sea in 2013.